Upgrade the exhaust on the Camaro V8 SS with the Flowmaster Axle Back Exhaust for an easy to install performance modification and a more aggressive exhaust note. 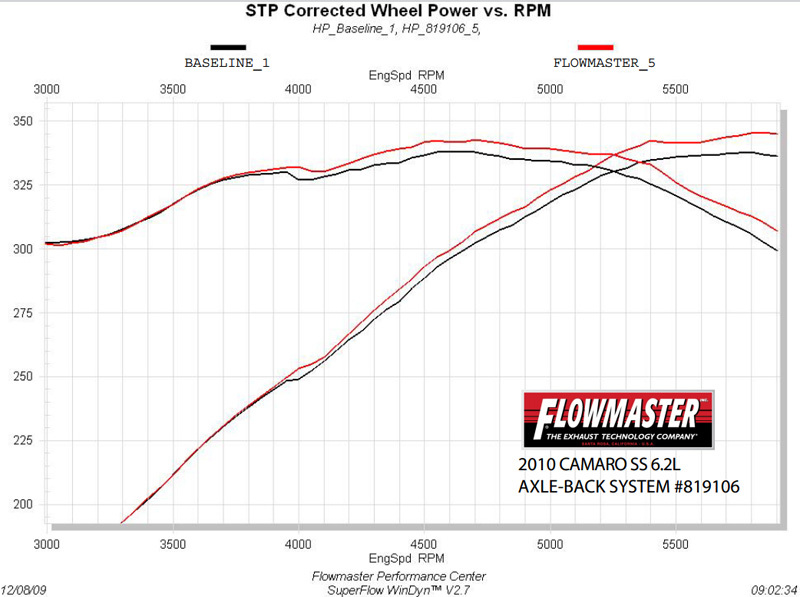 The Flowmaster Axle Back Exhaust gives the Camaro V8 SS an increase in power without the cost of a full cat back system. For an increase in power with an aggressive exhaust tone on the Camaro V8 SS, without the hassle of installing a full cat back exhaust system, the Flowmaster Axle Back Exhaust is the perfect choice for you. 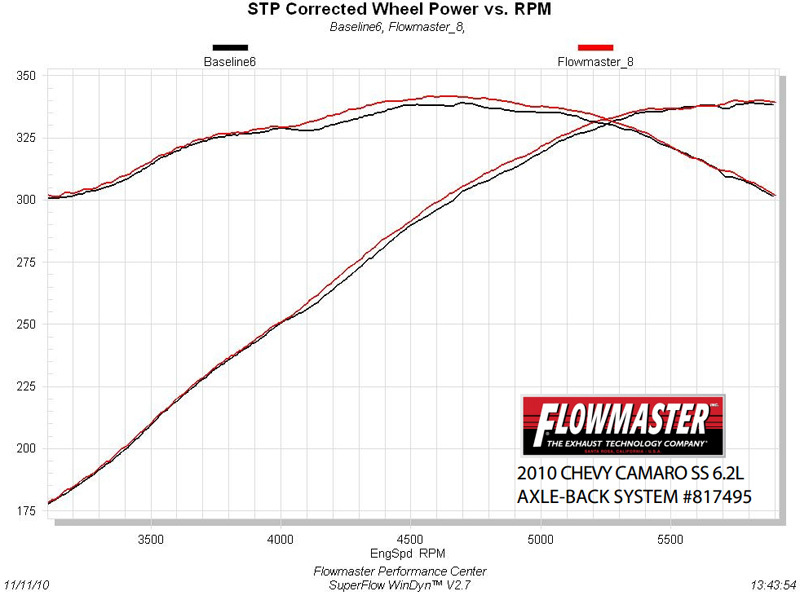 The Flowmaster Axle Back Exhaust for Camaro V8 SS is dyno tuned for maximum performance to increase power, improve throttle response, and increase gas mileage. This exhaust system is available in an aggressive-sounding American Thunder Kit, and a more moderate-sounding Pro Kit so you can choose the exactly what your Camaro sounds like. Installing the Flowmaster Axle Back Exhaust for Camaro V8 SS is a simple bolt-on installation for an easy fit. Access to the underneath of your car with the use of a car lift or jacks and jack stands are required.